We are dedicatedly involved in manufacturing, supplying, importing and exporting a vast spectrum of Printed Circuit Boards. All our products are manufactured under the close supervision of experienced and qualified professionals. High-grade material and components that are sourced from certified vendors are used in the production process. In our range, we offer Hybrid Microcircuits, Multi Layer PCB ( FPGA/BGA) Assembly Fine Pitch, PCB Repairs And Maintenance, Micro Controller Based Control Card and Switching Mode Power Supplies (SMPs). 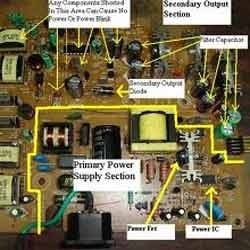 For our esteemed clients, we have come up with a quality oriented range of Switching Mode Power Supplies (SMPs). We design these devices using latest technology, high grade components and tools. We can offer these in customized finishes to meet the exact application demands of our clients. Power Dissipation, Mounting and Heat ventilation needs. Clients can also avail repairing and maintenance services for these devices from us. 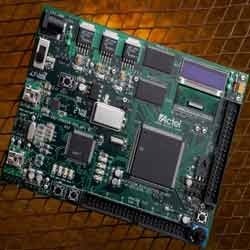 Backed by our in-depth domain knowledge, we have been able to meet the growing demands of our clients in terms of Multi Layer PCB (FPGA/BGA) Assembly Fine Pitch. We manufacture these assemblies using high grade components and latest technology in order to assure optimum quality. In addition to this, we can also customize the design of these devices to meet the exact application demands. Clients can avail these in high density design and high complex cards with large package density. The Multi Layer PCB (FPGA/BGA) Assembly Fine Pitch we offer to clients is widely appreciated for sturdy construction, reliability and high performance. Avail from us a quality assured range of Hybrid Microcircuits that we manufacture in compliance with the industry standards. 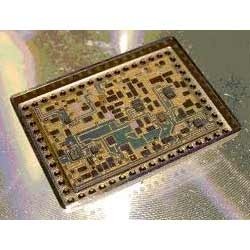 Hybrid circuits we offer are based on printed circuit technology and latest semiconductors device interconnection technology. These are known for robust design, flexibility to adapt innovative ideas, maximizing performance/price ratio, less expensive and can be designed as per the specific demands of clients. Besides, these are stringently checked in order to meet the application demands like circuit power voltage frequency, passive devices tolerance as well as temperature coefficient. We can also offer maintenance services for these hybrid microcircuits.